We're sorry, but this service is no longer being offered. You can inquire about a custom delivery service or find out more about our current services though the button below. Sorry for any inconvenience! 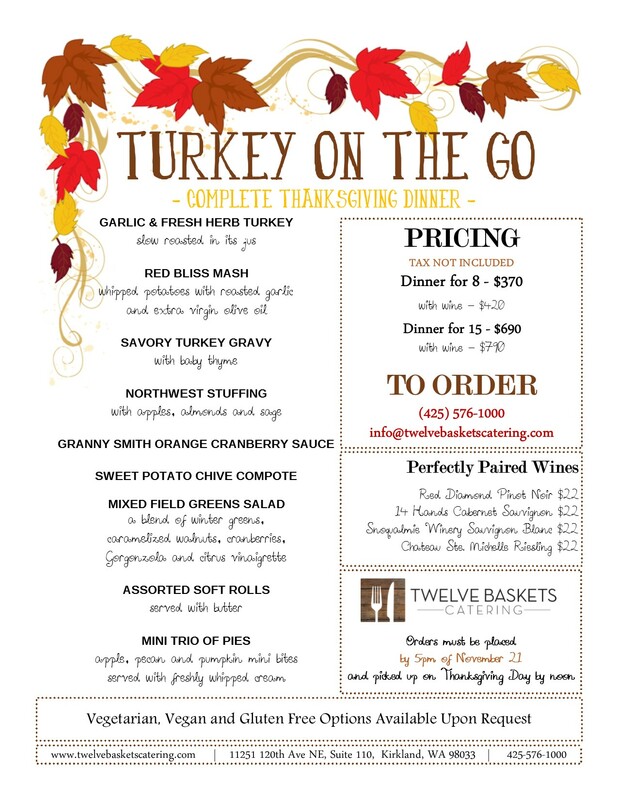 Our Services Avoid the crowds and lines at the grocery store this year - Leave the cooking to us and come pick up your complete Thanksgiving feast from Twelve Baskets Catering. Our Chef has put together a mouthwatering menu of Northwest flavors from our Garlic and Fresh Herb Turkey to our Granny Smith Orange Cranberry Sauce and comforting Northwest Stuffing. All you have to do is heat and serve. To add a personal touch, place all the fixings and turkey in your own dishes for that home-cooked meal feel. We can even provide wine pairings to go along with your meal. It will be our little secret and you won't sacrifice taste for convenience! So stop stressing and call or email to order your complete Thanksgiving Dinner today. 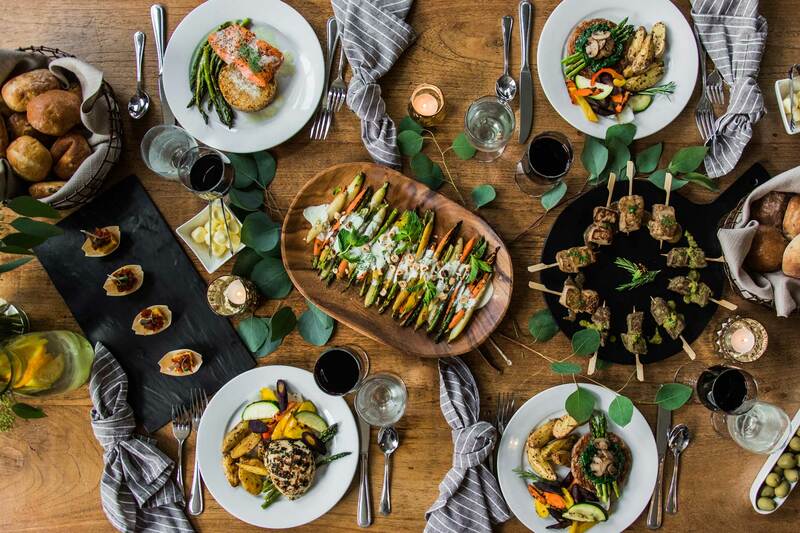 Also, if there are any dietary restrictions for your party, we have gluten free, vegetarian and vegan options available. All orders must be placed by 5pm on Friday, November 21st, 2014.